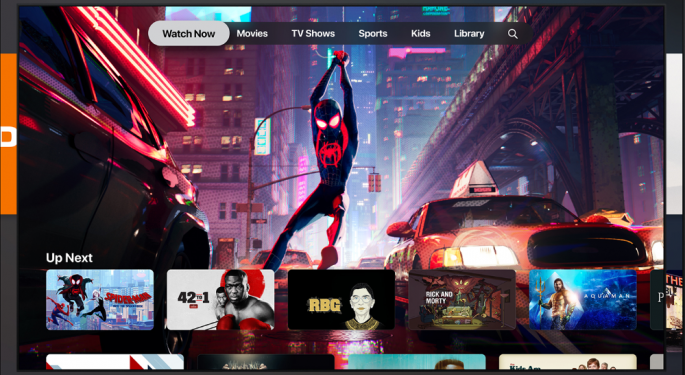 Apple Inc. (NASDAQ: AAPL) rolled out its much-awaited video streaming move with Apple TV+ and Apple TV Channels on Monday, along with other expanded services for delivering games and news articles for subscribers for single monthly fees. Apple is seeking to be the go-to place for TV and movie watchers, gamers and news readers - eventually seen by many as a competitor with Netflix, Inc. (NASDAQ: NFLX) for TV and movie viewers while trying to replicate that model by also offering a one-stop shop for games and news. In a star-studded roll-out that included Steven Spielberg, Oprah Winfrey and Steve Carell, among others, Apple CEO Tim Cook rolled out an expanded vision for Apple as an entertainment and information service provider rather than just a producer of computers and phones. Apple TV+ will include original Apple programming - as Netflix has done, with a library of original content hinted at by the stars who were at the Apple rollout. Spielberg announced he will work on a TV series called “Amazing Stories” for Apple TV+, while Reese Witherspoon, Jennifer Aniston and Steve Carell were shown off as the hosts of a new morning show. Apple also is creating a digital entertainment hub where users can bundle their various subscriptions. The app will let users pay for other streaming services, including HBO, Showtime and others, through the Apple app. That part of Apple's service is called Apple Channels. Netflix won’t be a part of that. Netflix CEO Reed Hastings said recently it's choosing not to integrate its streaming service with Apple’s as part of an effort to keep control of Netflix users’ experience. 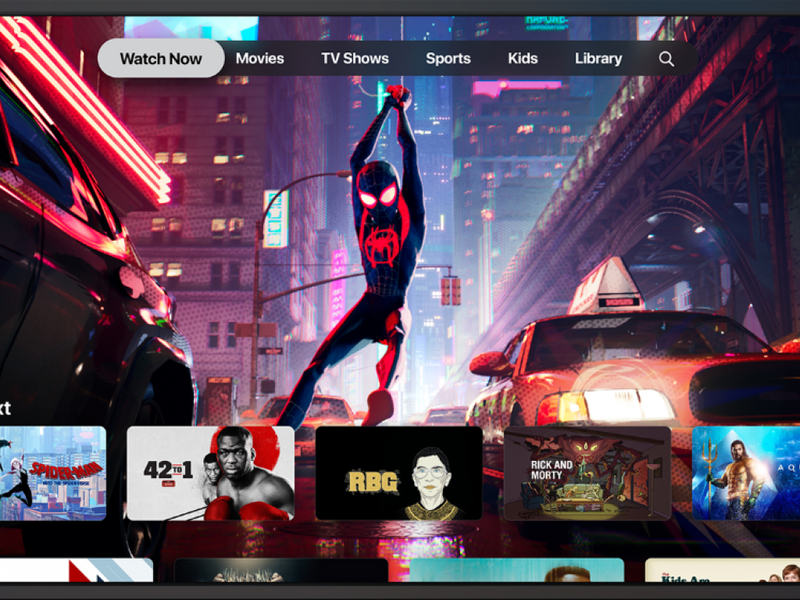 The Apple TV app, already available on iPads, iPhones, will also be available on Macs and various smart TVs, as well as Roku Inc (NASDAQ: ROKU) and Amazon.com, Inc. (NASDAQ: AMZN) Fire TV devices. Cook noted the iconic tech company has long delivered services like its mapping and music services along with its better-known hardware products like computers and smartphones. But the company is shifting heavily toward services as sales of the company’s signature product, the iPhone have hit a plateau. Apple products like the iPhone aren’t becoming obsolete – in fact some analysts see the move as a new way for the Cupertino, Calif.-based Apple to earn money from its iPhone user base, which is closing in on 1 billion customers worldwide. But Apple is transitioning more to a content delivery company. Apple also announced its subscription game service called Apple Arcade. The service won’t allow streaming play, but is more like a subscription service for games that can be downloaded from the App Store. Subscribers will also be able to try out games. Cook announced that more than 1 billion gamers have downloaded games from the App Store. Apple also announced a new $9.99 per month subscription service called Apple News + that will give users access to articles from more than 300 newspapers and magazines. It starts this month and is free for the first month. Apple said magazines including National Geographic, The New Yorker and Wired will be included, along with newspapers including the Los Angeles Times and the Wall Street Journal. Cook and other Apple officials touted privacy throughout the presentation, including with the news service. The company said it won’t let advertisers track Apple News+ users. Apple also rolled out changes to its credit-card like online payment service with an expansion of its popular Apple Pay service to be called Apple Card. It allows people to pay for products using personal devices with an online credit card. 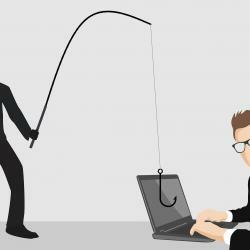 The service is in partnership with Goldman Sachs (NYSE: GS) and Mastercard (NYSE: MS), which will create widespread acceptance, the company says. Apple's stock was down 1.9 percent after the presentation to $187.33 per share.